3M will buy the office and consumer products business of California-based Avery Dennison for $550 million. The operation's products include adhesive labels, binders and highlighters to a 3M lineup of office goods including Post-it Notes, Scotch tape and wrist rests. The division had worldwide sales of about $750 million last year and had earnings of nearly $100 million before interest, taxes, depreciation and amortization. These are products that have not been a big part of 3M's portfolio. 3M got a good price for what it's getting, said Adam Fleck said an analyst with Morningstar. "It could be a homerun for 3M," Fleck said. At $550 million, 3M got a good price on the acquisition, Fleck said, but he sees opportunities for 3M to pump sales and cut costs to boost earnings. "There's probably going to be some overlap in sales staff and maybe distribution centers across the world," he said. "And traditionally, Avery's business has been largely North American focused in the labels business. If they're really able to ramp this business up, it could be a slam dunk for them," he said. The transaction is 3M's biggest since it bought fingerprint- identification systems maker Cogent in 2010, a year in which 3M spent more than $2 billion buying companies. 3M spokeswoman Donna Fleming Runyon says purchasing Avery Dennison greatly broadens 3M's offering of office and school supplies. The only significant product overlap between the companies is in adhesive labels. "The office and consumer products business of Avery Dennison is one of the world's leading suppliers of office and education products," she said. The purchase poises 3M to become a one-stop supplier for retailers that sell office supplies and stationery, Fleck said. "It's makes 3M pretty clearly the number one player in the market," Fleck said. However, 3M is spending $550 million to buy a shrinking business — Avery's office and consumer product sales fell 13 percent from 2008 to 2010. The operation's revenue has declined as more business is done electronically and organizations and people try to go paperless. But 3M has a knack for pumping up the performance of seemingly mundane — and tired — businesses, said Mark Henneman, who helps manage St. Paul Based Mairs and Power Growth Fund, a mutual fund focused on Minnesota companies. "3M has a history of innovating very slow-growth businesses." Henneman said. "Tape and abrasives come to mind. So, maybe they've got something in mind here." The deal should close in the second half of 2012. 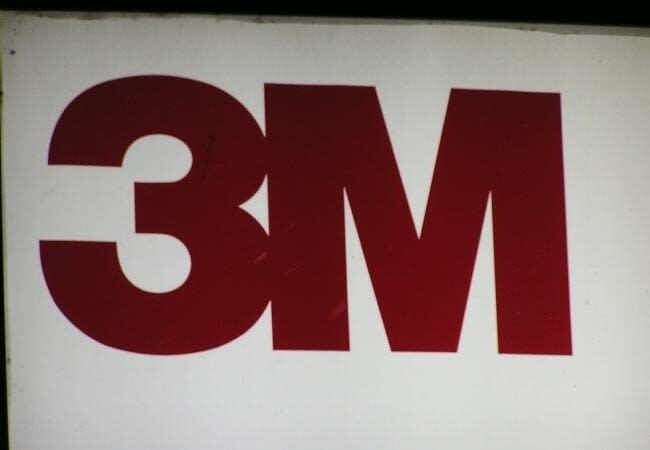 The transaction does not affect an ongoing patent dispute between the companies over reflective coatings for road signs, a key business for 3M. But Morningstar's Fleck says such litigation doesn't preclude companies from doing business with each other. "These patent issues often result in licensing fees more than anything else, I think," Fleck said. "It certainly doesn't prevent them from talking, especially since Avery wanted to exit this business." When the acquisition is complete, a patent dispute between the companies concerning adhesive labels will be moot.